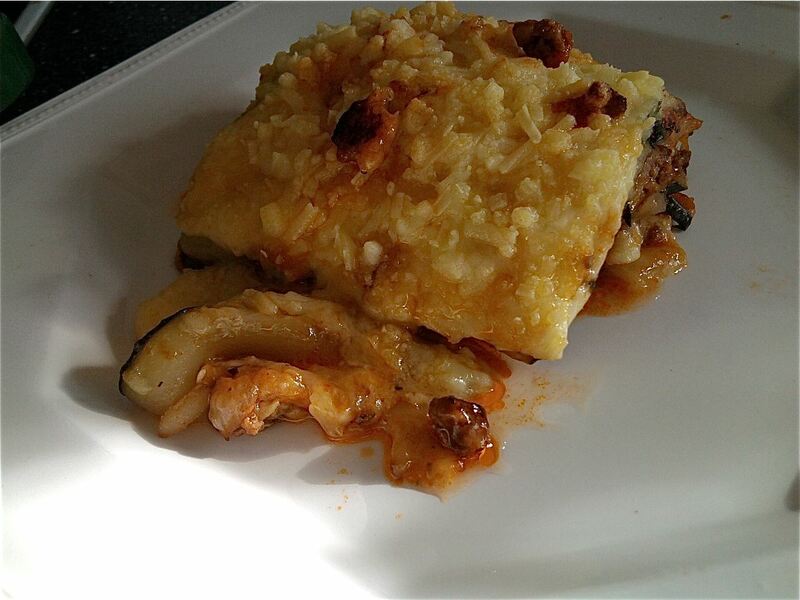 In these low-carb times, we are looking for ingredients replacing those packed with starch, as lasagna sheets. When left with a monstrous zucchini, one good idea is to use slices of zucchini to separate the tomato sauce and bechamel layers. One piece of advice is to make the sauces thicker and use more seasoning, as the zucchini will release of extra liquid, making the sauces thinner. 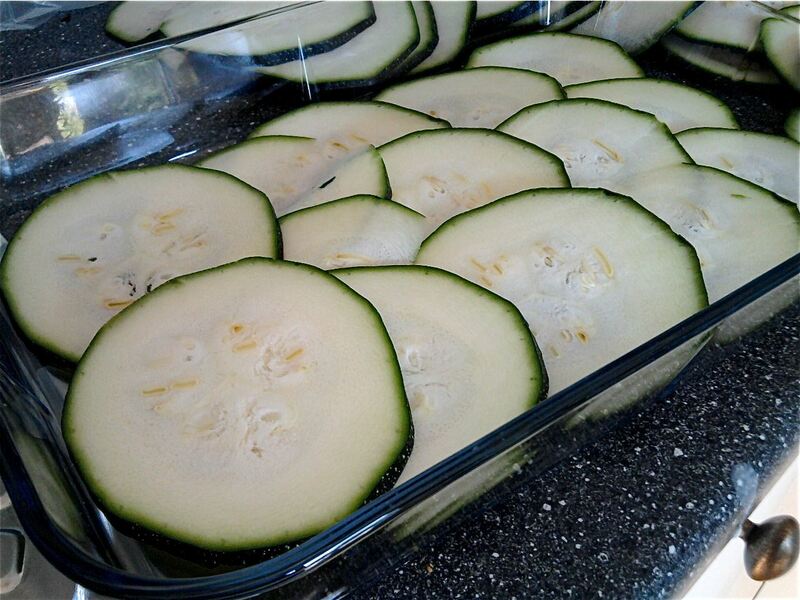 Slice the zucchini, and make sure the slices remain intact in order to separate the layers of sauce. Pour olive oil in a oven proof dish and place one layer of sliced zuccini on the bottom. Prepare a thick tomato sauce. I used ground beef, onions and the rest of the zucchini. 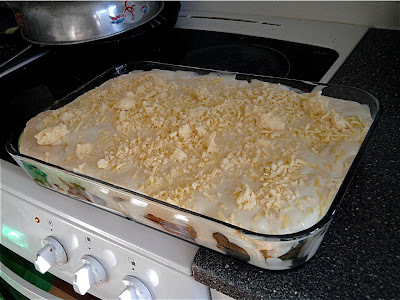 Place half the batch of sauce on top of the zucchinis and then add another layer of grated cheese. Cover tomato sauce with layer of sliced zuccinis and place the rest of the tomato sauce on top and add more grated cheese. 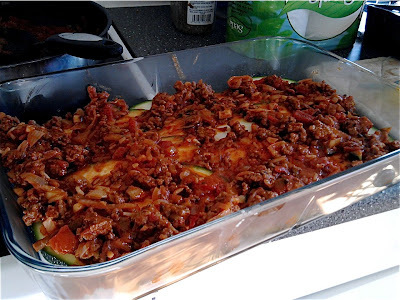 Top with another layer of zucchini slices. 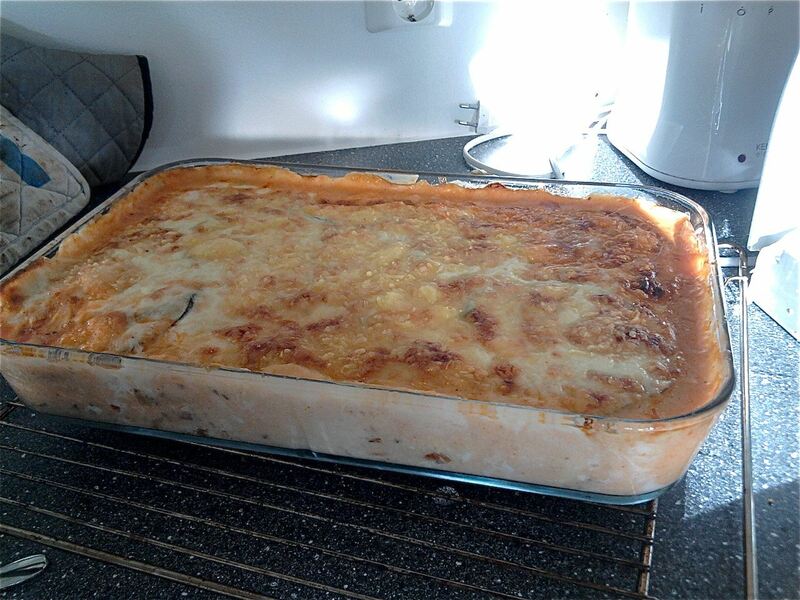 Prepare a thick bechamel sauce - use extra cheese to thicken it, and pour it on top of the lasagna. Add more grated cheese. How to make a one minute bechamel - read story here. Bake in a hot oven (225 C/470 F) for 30-40 minutes until it the cheese is golden brown. Presto! A low carb, multi layered zucchini lasagna. I'm drooling! :) Need to try this someday.